SermonSuite, a division of CSS Publishing, is an online collection of professionally published lectionary and non-lectionary sermons, children's sermons, sermon illustrations, exegesis, homiletical resources, and worship resources which have been developed over the years to help pastors deliver relevant, high impact messages and worship resources. This site's collection of professionally written, edited and published resources can be accessed online 24/7 giving pastors a versatile collection of fresh, innovative preaching and worship material for building dynamic messages that connect with your congregation and keep your pews filled. 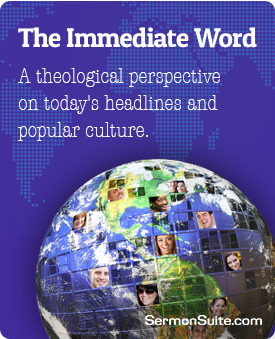 The Immediate Word gives a theological perspective on today's headlines and popular culture for your sermon, children’s message, and worship service. The Immediate Word gives a theological perspective on today's headlines and popular culture. Cutting Edge: THE IMMEDIATE WORD gives you the tools to be cutting edge ... to put you in touch with today's most critical issues and to aid you in crafting messages and presentations that will truly help your congregants understand the Gospel in the context of what is current and most important to them. Collaborative: THE IMMEDIATE WORD is a unique collaboration of some of the sharpest, most contemporary clergy of our day in a web based service that gives you weekly information, inspiration, and presentation material. Enabling: THE IMMEDIATE WORD will enable you to create messages about matters that your parishioners are discussing and concerned about. Timely: THE IMMEDIATE WORD posts the topic of the week and a brief introduction on Monday and the final product on Tuesday afternoon, giving you time to digest the material and then incorporate them into your preparations for the coming Sunday service. Satisfaction Guaranteed: THE IMMEDIATE WORD is not only guaranteed to satisfy you, we believe it will actually energize your ministry. We are so confident that you will find THE IMMEDIATE WORD to be such a great value that if you are not completely satisfied with the service we will refund the balance of your subscription payment, no questions asked. 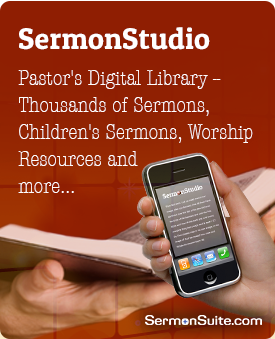 SermonStudio, a flagship product of the site, is home to thousands of sermons, children’s messages, outlines, sermon illustrations, worship services, exigetical resources, dramas, prayers, preaching resources, and more. Within this component, you will find high quality resources for all liturgical seasons from Advent/Christmas all the way through Thanksgiving. You’ll find lectionary and non-lectionary content as well as funeral and wedding homilies, communion and baptism homilies, special occasion messages and others based on Biblical and general themes. 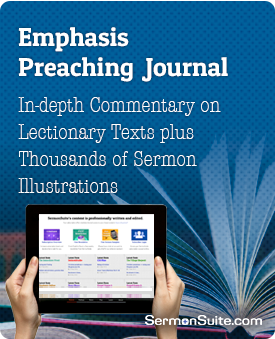 Emphasis Preaching Journal provides in-depth, scripturally sound, lectionary-based commentary on weekly texts, plus thousands of illustrations to help you create riveting messages. For each Sunday, Emphasis writers and editors delve into the heart of the four lectionary readings, providing you with several fresh, solid ideas -- based squarely on the lectionary texts -- for creating messages that speak powerfully to your audience. The writers look for overall themes that hold the readings together, then they home in on the themes and the specific scripture links, suggesting multiple homiletical directions. Since a single idea each week may not provide what you are looking for at that particular time, Emphasis suggests several, giving you the opportunity to select the one that matches your specific needs. Emphasis is like having a dedicated, thoroughly-versed research team right in your own study to help you create messages that are truly yours, and that speak powerfully to your audience. Emphasis gives you even greater value by putting back issues of the journal at your fingertips. This access to the Emphasis archives, combined with the ability to find commentaries and illustrations based on lectionary, scripture, or keyword, makes Emphasis an efficient, indespensible, time-saving tool for your ministry. StoryShare is a treasure trove of good stories that relate authentic, life-changing experiences that demonstrate the Lord's power and presence. 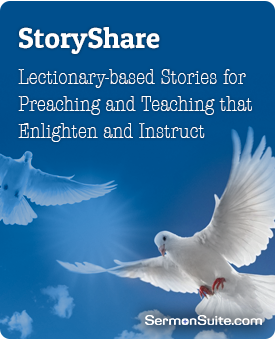 All of the content in StoryShare is lectionary based and serves to help you illustrate the weekly readings. The stories can be used as illustrations or, in some cases, as standalone homilies. Along with new stories being added every week, a subscription to StoryShare also gives you access to the archives, so if the new stories don't catch your eye, it's likely something from the archives will work for you. 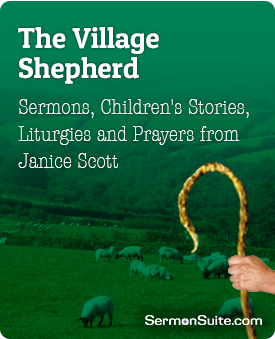 The Village Shepherd offers sermons, children's stories and liturgies, and prayers based on the lectionary. This content is sure to touch your heart, because they reflect the simple virtues and tranquil serenity that characterize Reverend Janice Scott's English countryside pastorate. The questions "Where is God in this particular situation?" and "Where does the Gospel story cross our own human story?" are always at the heart of these meditations -- but rather than finding overt answers, instead you will be gently led to make your own connections and discover the powerful ways in which God works. Janice Scott has the unique ability to find interesting details in ordinary life that illuminate scripture, while still challenging even the most intellectual reader. And that gift is precisely what also makes her an outstanding communicator with children. A homiletical message for each Gospel, Second Reading, and First Reading. Children's stories based on the Gospel for the week. Children's liturgy and story based on the Gospel. (The story included with the liturgy is different from the story mentioned above. A group of intercessory prayers for your worship service. The convenient search engine enables you to quickly find exactly what you need -- all the rich content of The Village Shepherd can be searched by lectionary, scripture, or keyword. 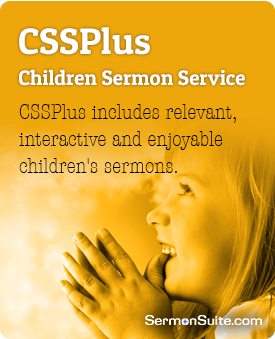 CSSPlus (Children Sermon Service) offers great children's sermons for lectionary and non-lectionary users. CSSPlus is a subscription service of children's messages that provide one new children's message per week for each Sunday of the year based on the lectionary Gospel. In addition to the children’s homilies, each week includes several different children’s activities which are perfect for use in Sunday school or at home during the week. Lectionary users will find this component useful because every entry is referenced and searchable by lectionary. Non-lectionary users will find CSSPlus equally useful because every entry is also referenced and searchable by scripture reference and keyword. So, whether you are a lectionary user or a non-lectionary user, this component will provide you a vast selection of great children's messages from first-rate communicators with children, and you'll quickly find just what you are looking for. Gospel Grams 1 providers lectionary-based children’s activity bulletin to communicate the Gospel for children ages 4-7. 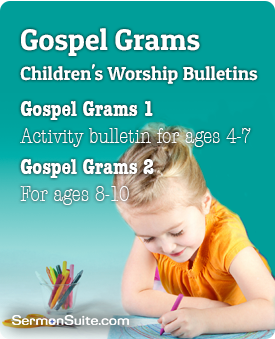 Gospel Grams 1 is an activity bulletin designed to communicate the Gospel to young children at their own level. Instead of kids drawing cars or flowers on scrap paper or the regular worship bulletin, why not give them their very own bulletin that will reinforce the Gospel message for the day in fun and interesting ways. Geared to children ages 4-7, Gospel Grams 1 uses imaginative Bible word games and puzzles, coloring pictures, and stories to engage kids with the Gospel lesson for the day. And because it is lectionary-based, the children will be on the same "scriptural" page as the adults. In all, there are 56 Gospel Grams per lectionary cycle. Since they are downloadable pdf files, you can print as few or as many as you need -- therefore keeping waste to a minimum. Gospel Grams 2 provides lectionary-based children’s activity bulletin to communicate the Gospel for children ages 8-10. Gospel Grams 2 is an activity bulletin designed to communicate the Gospel to young children at their own level. Instead of kids drawing cars or flowers on scrap paper or the regular worship bulletin, why not give them their very own bulletin that will reinforce the Gospel message for the day in fun and interesting ways. Geared to children ages 8-10, Gospel Grams 2 uses imaginative Bible word games and puzzles, coloring pictures, and stories to engage kids with the Gospel lesson for the day. And because it is lectionary-based, the children will be on the same "scriptural" page as the adults.